Please be aware that any players wanting to be considered for a BNA Rep team must be registered and play in a 2017 Winter DAY Season team. Players playing in the social night competition will not be eligible, unless they are also registered in a day season team. 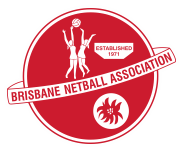 As the rep competitions are Netball Queensland events, players must be registered with Netball Queensland and play 3 games in a Netball Queensland affiliated competition, which the BNA Saturday competition is. As our Winter Wednesday night competition is not affiliated with Netball Queensland, this does not allow players to use this as a pathway to representative teams.